Saturn transit from Scorpio to Sagittarius on 26th January 2017. Saturn leaves your 2nd house and will be in the 3rd house till next transit (till 24th January 2020). From the 3rd house, Saturn aspects your 5th, 9th, and 12th house. 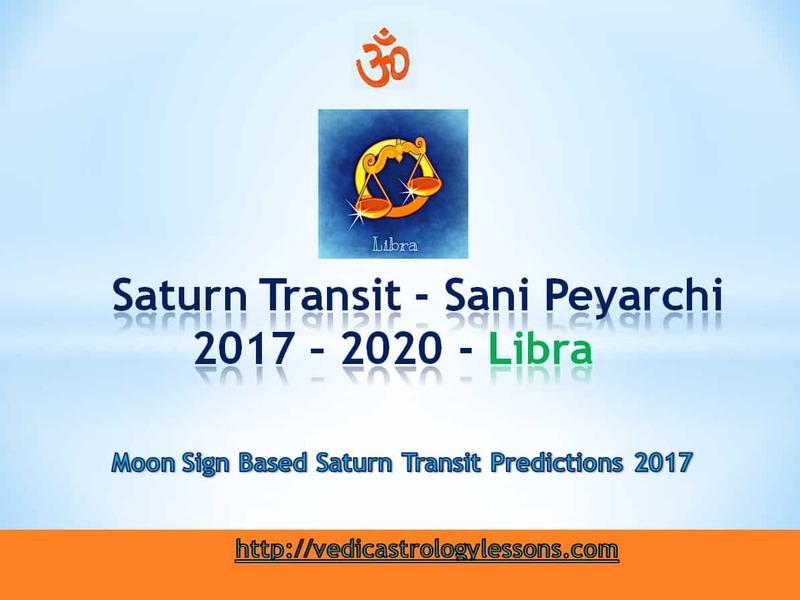 After this Saturn Transit (Sani Peyarchi), Those who are unemployed will get good job opportunities. You will be cheerful and active in your work, resulting in pay rise and promotion. As Planet Saturn is lord of your 4th and 5th House, you must be careful in your work, especially towards your bosses. Undertake detailed research and discussion before investing in anything. You might face unknown fear while signing the guarantee for loans and bails for others. Try to avoid new debts. This is the time for mental confusion and fear. So take calm, well-thought decisions. Your household employees might cause some trouble. Your pets will be loving and beneficial to you. Your uncles from your mother’s side will be helpful. Take care of your mother’s health. Your father will be loving and supportive towards you. You might go on spiritual voyages. Husband-wife relationships will be fine, though you might face some troubles with your friends. Your foreign contacts will not be beneficial. Based on your current Dasa and Bhukti(Subperiod) the effect of this Saturn transit for Libra sign will change.